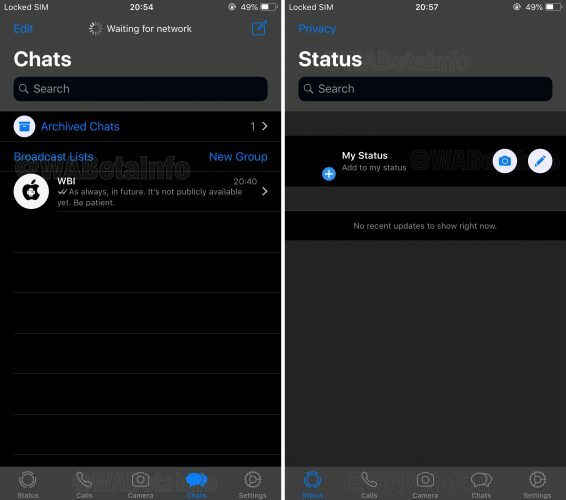 WhatsApp the popular cross-platform messaging and Voice over IP service owned by Facebook spotted testing Dark Mode in its iPhone app as well as previewing videos in notifications, according to hidden code strings uncovered by WABetaInfo. Perhaps more important than that (at least to some people) is the fact that WhatsApp is busy implementing a Dark Mode-like user interface theme. Early screenshots indicate WhatsApp’s darkened interface is still work in progress and a bit rough around the edges, but we can clearly see that a darker background is paired with some elegant gray styling to a great effect. WhatsApp recently enabled image and GIF previews in rich notifications and now beta users are available to preview video attachments directly in WhatsApp’s push notification, too. So what do you think ? Would you be happy to see a dark interfaced WhatsApp ? Share your thoughts in our comment section below.